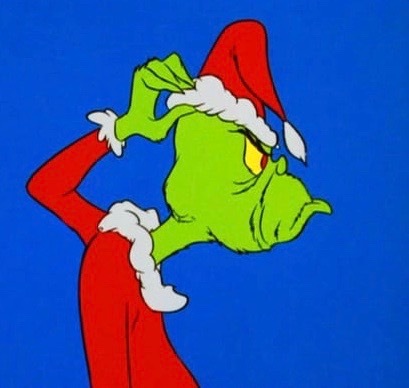 This year, I might have a slight preference for the Grinch over Santa. The idea of someone coming to my house and taking all the stuff that I didn’t need in the first place would save me a lot of trouble when I get to spring cleaning. I have been the thinking the past fews weeks of what it might look like to buy presents for my family and friends a little differently this year. What it would like if I bought experiences rather than stuff? Or if I had them unwrap presents that would go to others in need? Would they revolt? Be confused or happy? Last year, my family gave a gift in my name to the Muscular Dystrophy Association where my cousin, Sarah, works. I was so overjoyed that funding would go to support the great work she was doing with these families. I felt as though my heart, like the Grinch's, grew in size that day. Now I’m all for great gifts. Even the Wise Men brought Jesus stuff, really good, pretty, shiny stuff. But I also really love the story of the shepherds, who were not fancy or well-groomed and were invited not to give gifts to Jesus, but to simply be present for the experience. What might it look like this year for you to give gifts differently? An experience or a gift in honor of someone goes to support great work going on globally, locally, and nationally? This year our church is blessing five partners with our Advent Offering, with 3 being local and two international. See the list below of the ministries our Advent Offering will support. Will you please consider a gift? • Kafodzidzi Primary and Middle School in Ghana serves several hundred children and is in desperate need of repairs to remain functional. This is the home school of Sam Asmah, FUMCR member and employee. • Project Transformation utilizes the talents of college students in partnership with United Methodist churches to offer daily activities to children in low income neighborhoods. • Network of Community Ministries is the emergency social service agency of Richardson assisting Richardson residents with rental and utility help, as well as providing food pantry and clothing closet items. • Skuinskloof Primary School in South Africa is a ministry of FUMCR. We continue to send work teams to Africa to build and improve facilities at this school. • Go Camp is a North Texas Conference supported camp experience for children in urban and rural communities who may not have access to summer camps. FUMCR will host one of these camps in 2018. It will be an opportunity for children in our community to have a camp experience that otherwise would not have such an opportunity. If you would like to give to the Advent Offering online, you may do so here. This Sunday we are continuing our series, Reindeer and Donkeys, by talking about Santa and Saints.